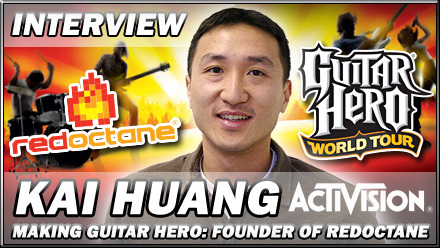 We talk to RedOctane president and co-founder about his remarkable success story, Guitar Hero World Tour, the future of the series and the music game masterplan. One hundred million dollars. 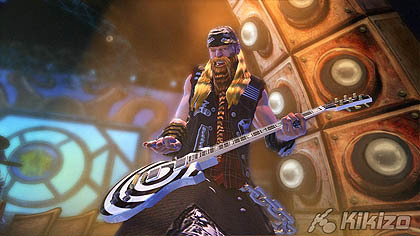 That's the sum of money Activision supposedly shelled out to secure the rights to Guitar Hero, through its 2006 acquisition of a modest Sunnyvale-based outfit called RedOctane. It strikes me as a lot of money to buy the rights to a single game IP, even if it's one that blew up in the way that Guitar Hero had. I mean, by contrast Microsoft paid $375 million for legendary studio Rare in 2002, but that purchase came with a truckload of IP and it too was considered a lot of cash. Additionally, titles like Rock Band and Lips show that you don't need to buy anyone to grab a slice of music gaming when you can simply conjure brand new IP into this lucrative market out of nowhere. So, why hand over $100m to RedOctane's founders? Arguably it's because this year, the music game business could reach $2 billion, making the investment seem like small change to the Santa Monica super-publisher. 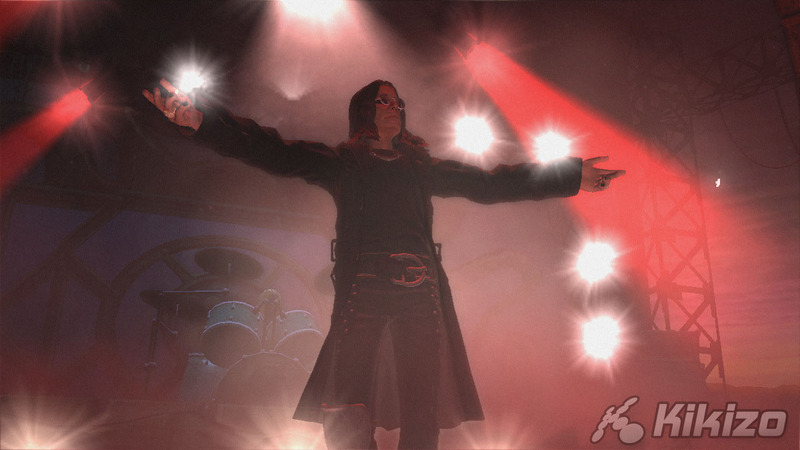 But more than that, Guitar Hero was the first, the best, and is probably the most adored. The momentum built by Guitar Hero as a brand in its own right immediartely transformed the series into an iconic gaming property - one worth paying for, worth nurturing with even bigger publishing resources for future instalments. I'm not a hundred per cent sure on the hundred million; as far as we're aware the details have not been made public. But the fact is that Kai Huang, President and Co-founder of RedOctane, is the man who originally had the vision to bring the music game genre from the niche of Japanese arcades (as in titles like Konami's GuitarFreaks) and into the homes, garages and bars of the western mass market. And now, rather than swanning off to the nearest beach, he works for the Activision's RedOctane business unit, overseeing all the deals that continue to make the series a colossal one. The next in the series, Guitar Hero World Tour, is the fourth, and is out later this month. On the one hand arguably a response to last year's Rock Band, from EA, MTV Games and one-time developer ally Harmonix, this entry (earlier known simply as Guitar Hero IV) is as much a step up for the entire music genre. 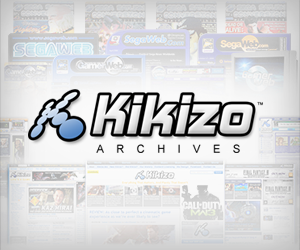 It's thanks to a variety of impressive online and community features, which quite frankly have been conspicuous by their absence in so-called next-gen iterations of music games to date (with the notable exception of Sony's SingStar). Having recently met with Kai Huang for an exclusive interview, we were suitably impressed with the latest in the series, but also intrigued by the ambition for what happens next in the Activision music game master plan. We were joined by the always affable Brian Bright, project director at Neversoft - the Activision-owned developer of the series since last year's Guitar Hero III. Our aim was to get the usual sound bites on World Tour to keep our favouritest of PR people happy, before covertly getting to the real meat of things by discussing the series' future plans, and more interestingly, the personal success Mr Huang has enjoyed as a result of this explosive sector of the business. Enjoy the interview, starting on the next page.